The following organizations provide information that will assist students considering a career in nursing as well as current nursing students, nurses interested in advanced degrees, nursing educators, and guidance counselors. Links to student associations, nursing organizations, higher education resources, College Board services for students with disabilities and supports for women with disabilities are included. American Nurses Association - Represents the interests of the nation's 2.6 million registered nurses. Membership, conference and certification information, publications, legislation and CEUs are available on line. Association on Higher Education & Disability - AHEAD is an international, multicultural organization of professionals committed to full participation in higher education for persons with disabilities. Disclosing Your Disability - A guidebook from Richard Pimentel covers the legal and practical considerations that people with disabilities need to consider as they determine how and when to disclose their disability to an employer. College Board - Through its Admissions testing Program, the College Board provides special arrangements to minimize the possible effects of disabilities on test performance. The George Washington University HEATH Resource Center - A national clearinghouse on postsecondary education for individuals with disabilities. It collects and disseminates information nationally about educational support services, policies, procedures, adaptations, and opportunities at American campuses for individuals with disabilities. Health Occupations Students of America - The mission of HOSA is to promote career opportunities in health care. Johnson & Johnson - Provides information about opportunities in a nursing career. A section about nurses with disabilities and profiles of nurses with disabilities are included. National Association for Practical Nurse Education and Service - The world's oldest nursing organization dedicated to promotion of quality nursing service through the practice of licensed practical nurses (LPN) and licensed vocational nurses (LVN). National Institute of Health (NIH) - "LifeWorks" features more than 100 careers in the health and medical sciences. It is designed as a resource for students, educators, and guidance/career counselors. National League of Nursing - The mission of the NLN is to advance quality nursing education that prepares the nursing workforce to meet the needs of diverse populations in an ever-changing health care environment. The National League for Nursing Accrediting Commission - The National League for Nursing Accrediting Commission (NLNAC) is responsible for all accrediting activities. National Network of Career Nursing Assistants - For caregivers who provide hands-on care to frail, elderly, or chronically challenged citizens in nursing homes or other long-term care settings. National Council of State Boards of Nursing - The Council offers information about the NCLEX examination, state boards of nursing, and nurse practice acts. National Student Nurses' Association - A comprehensive directory of NLNAC and CCNE accredited nursing programs. 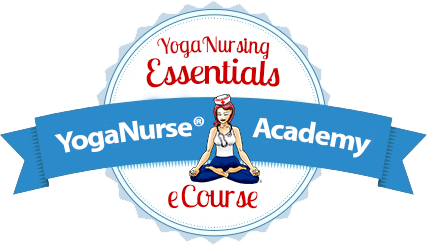 Nursing Degree Guide - Resources include career advice, a discussion forum, scholarship information, NCLEX study aids, and an online store. Practical Nursing - A guide for those interested in LPN or LVN programs. Includes information about LPN programs in the USA, getting a license and working as an LPN. Teaching Strategies: Incivility in the College Classroom - Nursing students with disabilities may demonstrate challenging behaviors. The University of Michigan offers strategies to help nursing faculty members. The University of Salford School of Nursing - Launched Europe's first Nursing course for deaf students. The new curriculum is designed to be flexible and inclusive. The University of Washington - Developed training materials for faculty. Working Together: Faculty and Students with Disabilities. Villanova University Online RN to BSN Program - Villanova University has made this distinguished undergraduate program available to nurses everywhere, with online courses. Offered through its renowned College of Nursing � designated a Center of Excellence in Nursing Education by the National League for Nursing (NLN) � the program features the identical curriculum and degree awarded on campus, with the added convenience of a 24/7, video-based classroom.